Originally footwear was protect our feet against adversities of the environment and prevent injuries. 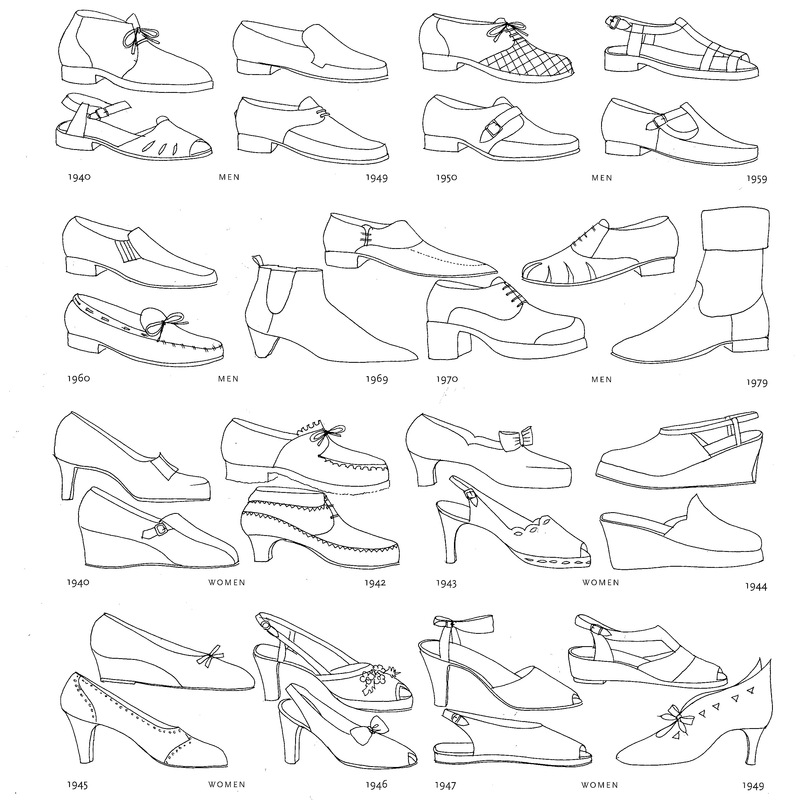 Over time footwear have also been used for fashion and adornment as well as to indicate the status or rank of the person within social structure. Our love affair with footwear began long before you would think. The oldest known leather shoe is 5,500-year-old leather moccasin which was found in was found in a cave near the village of Areni, Armenia. The 24.5-centimeter-long, 7.6- to-10-centimeter-wide covered piece of footwear was made of an old piece of leather. It had laces and was sawed to fit around the wearer’s foot. 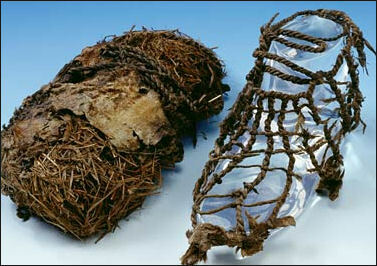 During ancient times fur and skins was used to wrap the footwear in a bag like shape. Shoes had fiber and bear-skin and deer-skin leather sections and were held together with a leather strap. The soles were made of bearskins tanned with bear brains and liver . The Ancient Egyptains (3500-600ad) wore simple sandals outdoors as protection from hot sand and walkways. Made from natural fibres and held onto the foot with narrow thongs. Throughout the antiquity the ancient Egyptian influence could also be seen in the Mesopotamian period (1000bc-ad200), people wore similar sandals to those of the Egyptians, but also ankle boots. The Greeks (480bc-400ad)were known for high quality exquisite shoes, sandals and boots. The ancient Greeks also wore basic leather sandals, a type of footwear known as the carbatine. This sandal, which dates back to the beginnings of ancient Greek culture, featured a single piece of leather secured to the sole of the foot with laces, which pulled the tops of the shoes together when tied, leaving the toes exposed. This type of footwear was worn until about A.D. 1000. The Greek footwear influenced a number of empires. This influence started with Etruscan (800bc-20ad) long boots and continued through the roman (753bc-323ad) empire. The romans wore a generic calceus which was made of soft leather, completely covered the foot and was fastened in front with thongs. 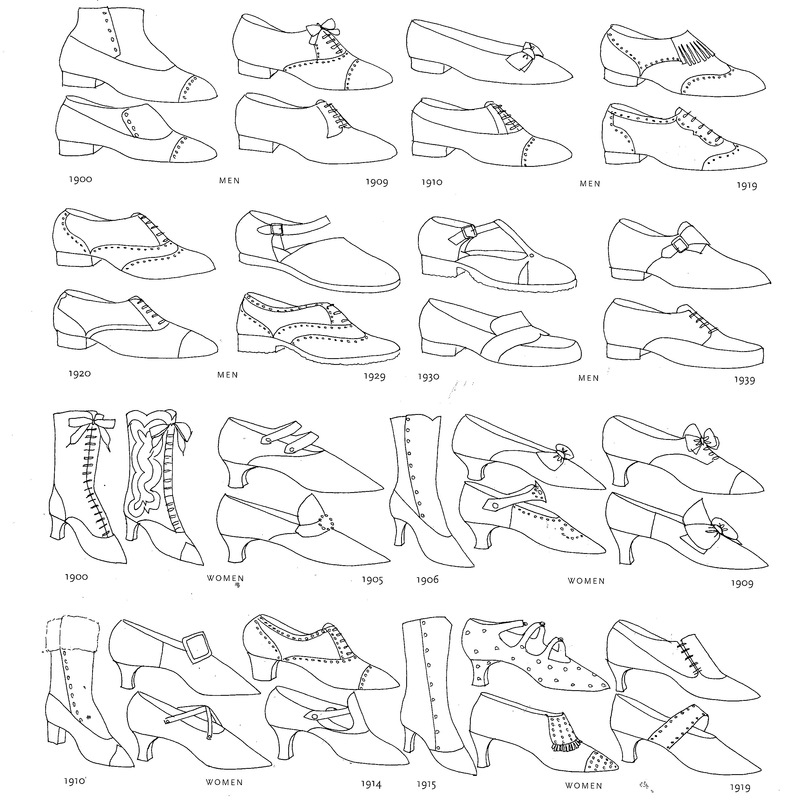 Some early shoes had pointed upward curving toes and were both laced and strapped into place. By the end of the antiquity the Greeks influenced could be seen in Byzantine (c400 bc to ad 1100) empire with their embroidered and bejewelled shoes. 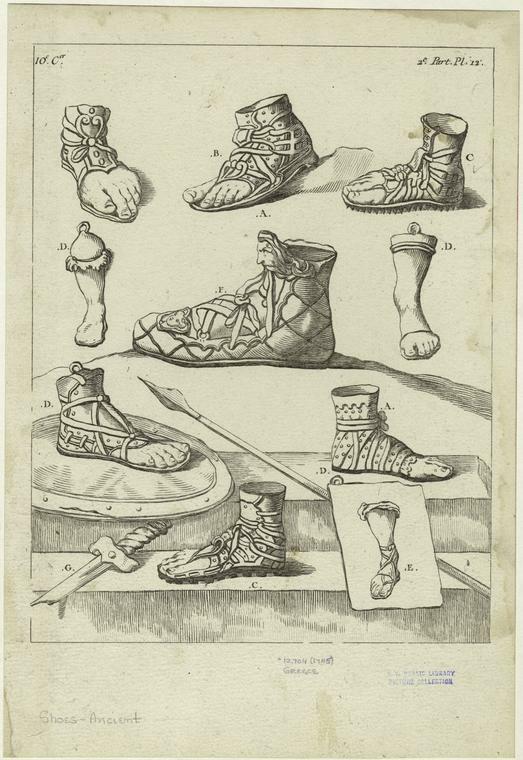 Until the 11th footwear remained practical, with a prevailing roman design influence. During Medieval time in Europe, social status is shown through extravagance. Footwear was made for luxurious fabrics with embroidery and in all dimensions, length, width or height in different time periods. The fantastic pike toe boots called poulaines or crackowes that were newly fashionable in the thirteenth century. The pointed style originated in Poland, its snouted length of the toe represented wealth and social standing. During the renaissance footwear was used by the European elites to distinguish themselves thought conspicuous details and extravagant ornamentation fabrics in velvet or satin. Round toe slipper and mules became popular. The fashion was less rigid and more colourful. The wide bear foot blunt toe reach the height of popularity in the 16th century and a law was passed limiting their width. The upper class developed these into hugely exaggerated platform heels called chopine and the pattern that the modern heel was developed. During this period the feminine heel Louis XIV heel first appeared and in the year to follow medium high heels of the Venetian origin made from wood and painted red was recognised as a sign of a gentleman. In Eighteenth century it was when the masculine shoe took modern form, low heels, conservative black and brown colours with buckle fastenings. Women began to wear slippers from fine leathers, silks, velvets, brocades and damasks, all very often with embroidery. 19th century saw the black boot become the most important accessory in the man’s wardrobe. These were worn for an occasions, whether heavy or light weight, long or short, plain or fancy, had a medium high stack heels. 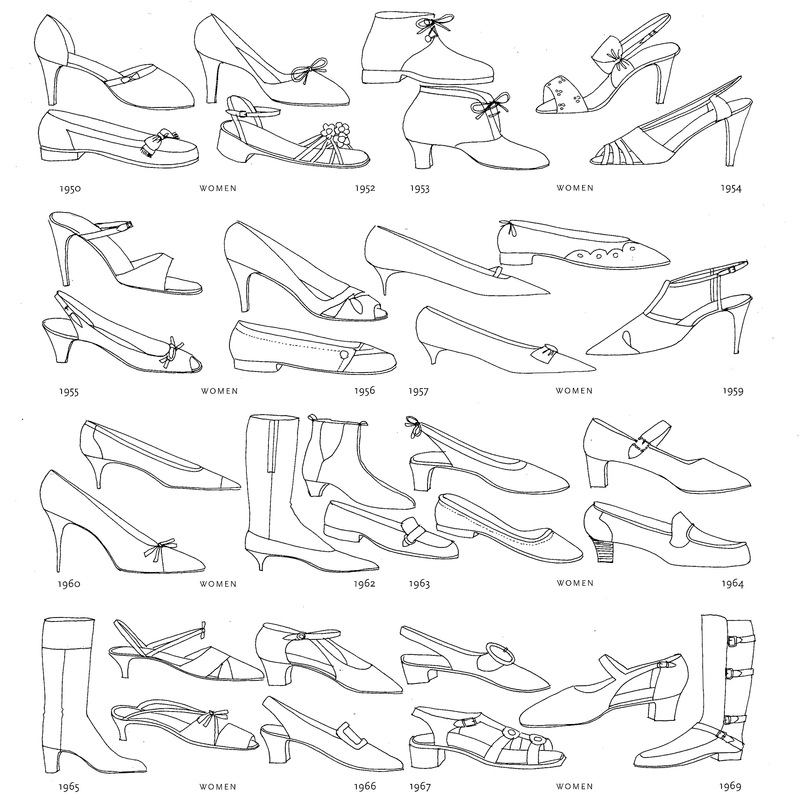 Women’s shoes featured long ribbon ties on dainty heelless pumps, also Greek style sandals or ankle boots were in vogue. In 1858 Lyman R Blake invented the shoe sewing machine for attaching the sole to the upper which made shoes much lighter. 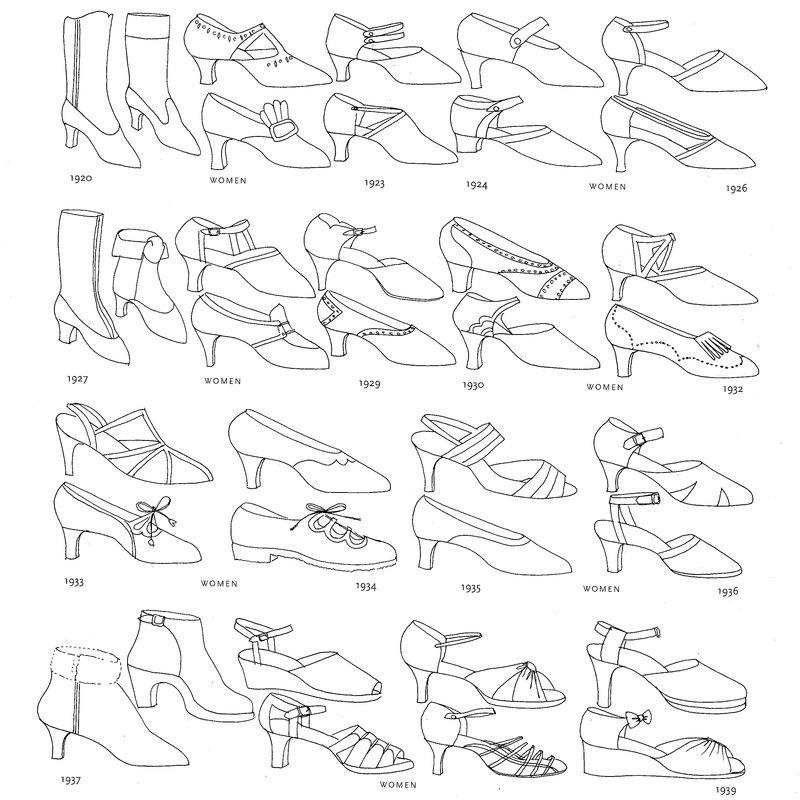 The 21st-century saw the birth of the shoe designer as opposed to the shoemaker. 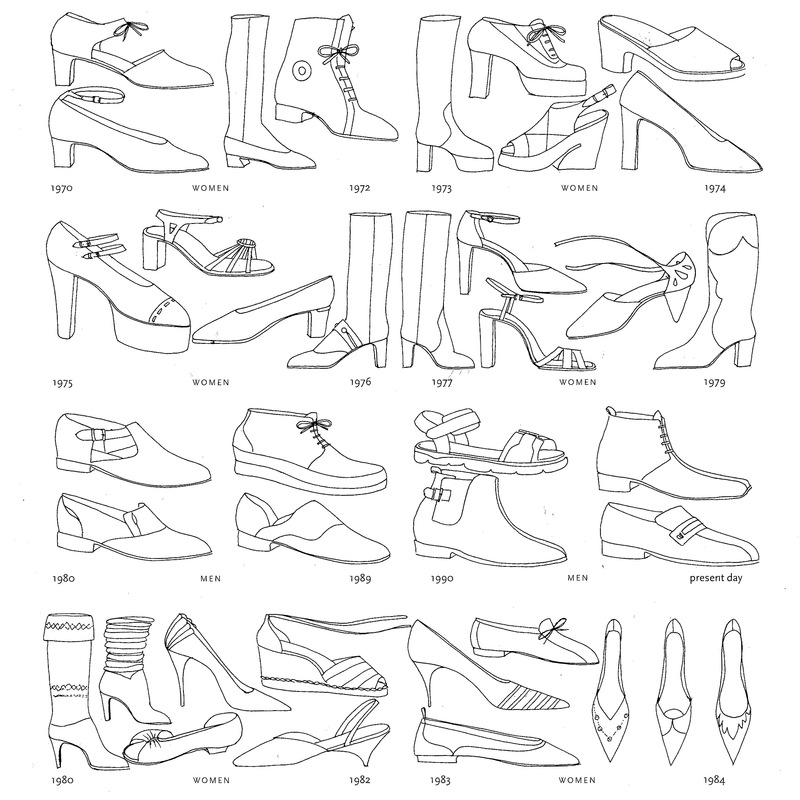 Designers were able to mass manufacture their designs using revolutionaries shoe sewing machine and consequence fashionable styles were now available to everyone at a lower price. The ranges of designs and colours grew as did the demand. 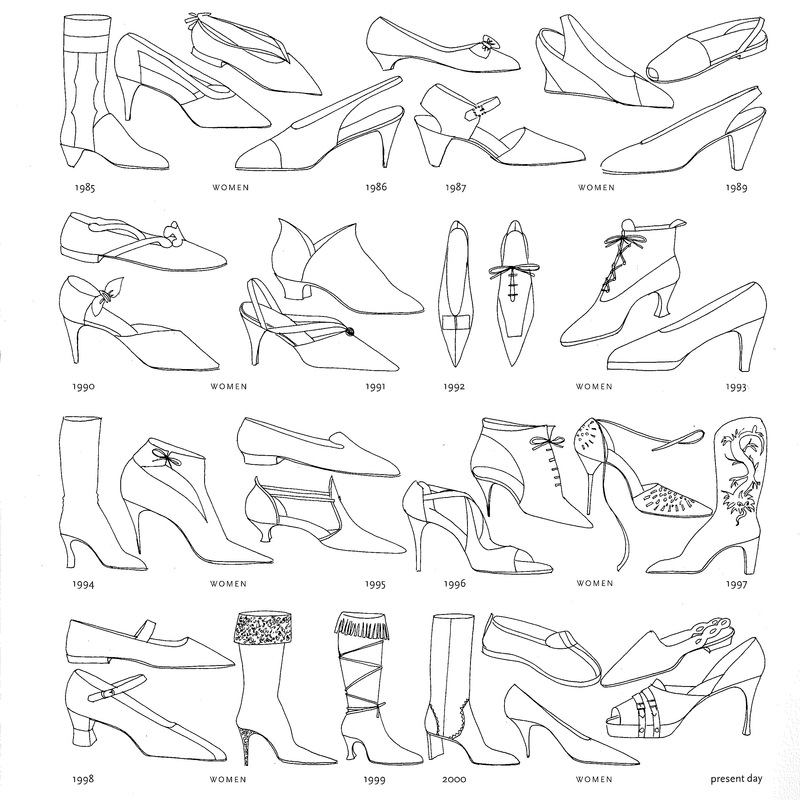 In the modern era styles of women’s footwear appeared and reappeared through out the century one example of this is a boots from the 1900s has constant been reinvented, in the 60s as knee length, in the 70s as thigh length with platform soles and in the 90s as above the knees with 60s winklepicker toes and 5 inch metal spike heels. It really was the century of everything old is new again.